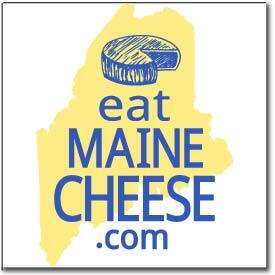 On November 11th we held our Annual Meeting at the State of Maine Cheese Co. facility on Route 1 in Rockport. Caitlin Hunter (Appleton Creamery) and Heather Donahue (Balfour Farm) were both re-elected to a seat on the Guild Board. Caitlin stepped down from her duties of Secretary of the organization, and Heather was nominated and then voted to replace Caitlin as Secretary. We reviewed the State of the Guild, including its finances, and we made plans for the upcoming year in many areas: new workshops planned for the Spring (advanced workshops, as well as others focused on beginners and those interested in getting licensed to sell cheese), web site improvements, changes to the delivery of our newsletter, possible legislative action, the formation of an Events Committee, fundraising ideas, and many other things. We ALSO got to taste a lot of cheeses that were brought in for feedback! It was a long meeting, but VERY productive. Thanks to everyone who attended.